Since relations between the West and Russia have deteriorated so rapidly following the US coup in Ukraine, Western strategists have been working relentlessly to find a replacement to Russian energy supplies to the EU. In the immediate term, this is impossible, a reality that unnerves many in Washington and Brussels. But in the medium to long term, an assortment of countries could combine to replace Russian energy, or at least dramatically reduce Europe’s energy dependence on Moscow. 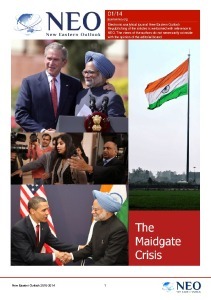 This issue was the subject of a recent article by the European Council on Foreign Relations (ECFR), a think-tank whose membersinclude the former President of the European Central Bank, Jean-Claude Trichet; former Secretary General of NATO, Javier Solana; and the former UK Foreign Secretary, David Miliband. The puppet master of the US-controlled government in Ukraine, George Soros, is also a member. The author’s then analyse the potential of different players to supply Europe with energy and weigh up the pros and cons of each country. Some of the potential countries listed – Iraq and Libya for instance – are so unstable (due to Western foreign policy of course) it is hard to see them being viable options. The article notes that Israel could be a potential energy supplier, a subject I have previously written about, although Tel Aviv may focus more on domestic ventures and a few regional projects. There are still many obstacles to Iran being a supplier however. Even though a deal has been reached on Iran’s nuclear programme, many individuals in Iran will correctly view some of the P5+1 states as perfidious partners considering the history of these countries meddling in Iranian affairs. This was exemplified by Iranian army commander General Ahmad Raza Pourdastan when he stated: “The US might arrive at some agreements with us within the framework of the Group 5+1, but we should never hold a positive view over the enemy”. 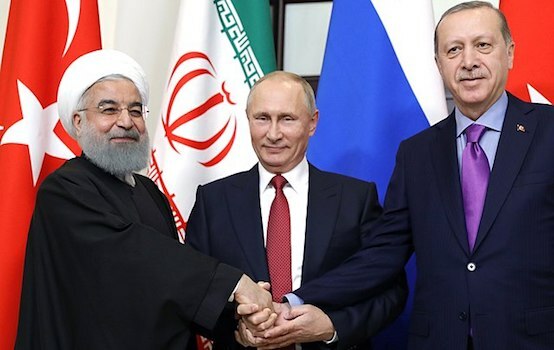 Iranian President Hassan Rouhani also stated last year that Iran lags behind in gas extraction and is far from being able to replace Russia as a supplier. Although with the potential assistance of Western energy giants in the coming years following the nuclear deal, Iran could develop its energy sector swiftly. In the coming years though, the US and EU may pursue far more subservient states than Iran to replace Russian energy, as the relationship between Iran and the US will still remain a delicate one in the near future. There is no question that many of the neocons in Washington will be irate at the recent deal and will still push for regime change in Tehran. This enmity could potentially restrict an energy deal between Iran and the EU in the ensuing years, although this may be overcome. 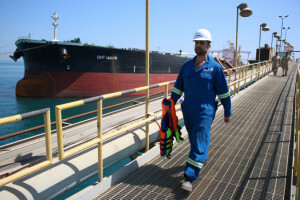 The author’s of the ECFR article finally conclude that “Azerbaijan is the supplier best placed to respond to the EU’s strategy of diversifying gas supply away from Russia.” Construction is already under way on numerous pipeline projects that will bring gas from the Caspian Sea to the Turkish and European market, supplementing the already constructed South Caucasus Pipeline. The Trans-Anatolian Natural Gas Pipeline (TANAP) will run from Azerbaijan through Georgia into Turkey, and is expected to connect with the Trans Adriatic Pipeline (TAP) at the Greek-Turkish border – which will run through Greece, Albania and across the Adriatic Sea into Italy. TAP’s is expected to be operational by early 2020 and it will have an initial capacity of 10 billion cubic metres (bcm) of gas per year, with the prospect of that more than doubling in the future. It will be important for the West to ensure that Azerbaijan continues to play a cooperative role with Western energy corporations in the future, as some voices in Washington have asserted that “U.S.-Azerbaijan relations are clearly now in serious crisis”. Whilst the West seeks to replace Russian energy in Europe, the Russian government has been busy forging closer ties with many countries around the world. China has already started constructing their section of the Power of Siberia pipeline that will deliver up to38 billion cubic meters of Russian gas annually. The two nations also plan to build the Altai pipeline, a Western route that will run from Western Siberia to North-Western China. Adding to the growing economic relations between Moscow and Beijing, Russia and Argentina signed energy deals in April in addition to Russia and Saudi Arabia signing a nuclear energy agreement last month.